Eminence Stone Crop Serum uses the lightening, hydrating and regenerating powers of stone crop combined with the antioxidant powers of green tea to renew and enliven your skin. Crop out all of your uneven skin tone and give your skin a burst of refreshing moisture and nutrients. Ideal for those with pigmented, reactive, sensitive and dehydrated skin types. Apply a thin layer over the entire face, or apply to affected areas 1-3 times per day. Stone Crop Juice, Bearberry Extract, Stone Crop Pulp, Green Tea Extract, Rosemary, Sage, Thyme, Glycerine (Plant Source), Natural Moisturizing Factor, Lavender Extract, Glycine Derivative, Xanthan Gum, Biocomplex (Vitamin A, Ester C, Vitamin E, Coenzyme Q10, Alpha Lipoic Acid), Lavender Oil, Chlorophyl. love love love this product!! This is my very first time using the Eminence product, so far so good, I bought it because I have some acne scar and hyperpigmentation on my skin, so I hope this potent serum will work. I have used it about two weeks now and I can see some results. Definitely, will repurchase. Love SkinCareRx. I have been using this product for about two weeks. I am very cautious about spot serums because I have acne-prone skin. So far this one has been great causing no break-outs. I love all of the Stone Crop products and layer this serum on after washing my face with the Gel. The spots are smoother and almost completely disappear with a light cover up stick. I'm a big fan. I like knowing that I'm putting a product with good ingredients on my skin. It's moisturizing and when I put it on in the morning, I feel like my face has a good drink of water for the day. This has really made a difference on my face to even out my skin tone, especially those dark spots on my cheeks from UV damage. I've been using it for about a year along with the Stone Crop Hydrating mist and it does make a difference. 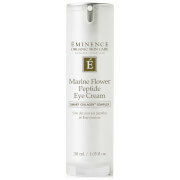 This is one of the products that's convinced me to go all-Eminence. I really like this serum as a base layer under my moisturizer. 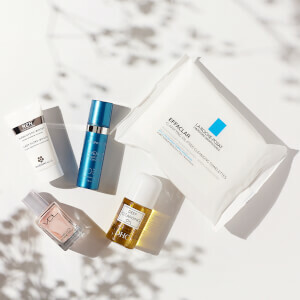 It's a light, soothing, but also hydrating product. I have to say I don't notice any radical spot-lightening on my skin, but I do notice a more even tone in general. I enjoy this as a product that provides extra moisture, nutrients, and balance under my moisturizer. 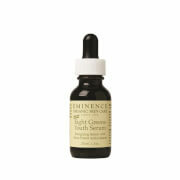 There are so many serums out there, but this is one of my favorites even out of all the Eminence serums. It goes into the skin nicely. It's pricey but lasts a while, and really does help my skin. I'm also quite sensitive, and this is not irritating at all. I've been using the Stone Crop Serum along with the Stone Crop hydrating mist and I've seen a dramatic reduction in skin discoloration. I've had laser treatments in the past to remove age spots and I have to say that this product is providing better results. It does take time as I've been using this for a couple of months. I use this under my nighttime moisturizer for a healing, hydrating boost. I have melasma all over my face. I've been using the Eminence Stone Crop products (cleanser, toner and hydrating gel) daily for about 6 months and the melasma is almost completely gone! My wrinkles are less noticeable too. Stick to the instructions, be patient and you will notice a huge improvement! I have terrible melasma, I have tried everything. I saw a dermatologist and its just getting worse. I bought the stone crop kit for 95 dollars and I am completly shocked at my skin. It has transformed my skin and everybody is noticing., I work in a spa with some facialists and they were trying some different things, Two of them have said, What are you doing, it almost looks like I have had laser treatments.